The “New” in Nutrition: What's Trending? All trends come and go. In this vast (and fast) technology-centered world we live in today, they seem to pass through a bit more quickly. But certain trends are here to stay, at least for a little while longer. At Allidura Consumer, a Syneos HealthTM company, we’re passionate about all things nutrition, health and wellness—in the office, as part of the work we do with our clients and also in our own personal lives. If there’s one thing we know, it’s that we are more conscious of our health than ever. And that doesn’t seem to be changing anytime soon. Many of us are constantly exploring how we can find 2.0 versions of ourselves, whether it’s through our everyday lifestyle, diet or fitness plan. So that brings us to the question: what are some of the current trends in nutrition? Which ones have stuck around—and why? Here are three nutrition trends making their mark, especially among moms, millennials, Gen Xers and the health-conscious. Transparency: According to the U.S. Food and Drug Administration, Americans eat and drink about one-third of their calories away from home. At the same time, obesity rates in the U.S. are at historic highs. More people want to know what is in the food they eat, how much sugar there is and how caloric, so they can make informed decisions about their health. But confusing food labels (or lack thereof) can make that difficult, especially at restaurants. Recognizing this, the FDA began implementing its new menu labeling rule this year and also released its final guidance to help the food industry comply. The rule requires restaurant chains and similar establishments to provide clear and consistent nutrition information on their menus—a clear response to the growing demand for transparency from consumers, as well as a huge step forward in empowering them to take charge of their health. Our take: Consider how you can bring transparency efforts to life. Consumers want to know the great lengths companies are taking to respond to this trend and how they are turning consumer feedback into action. Your annual reports are a great place to start—make them more impactful, visual and easy to digest. Also, learn how other companies are embracing transparency, like this Alliance of several major global food companies. Convenience: In the name of convenience, the traditional model of purchasing food at the grocery store has been transforming. Recently, we’ve seen a surge in a new variety of on-demand services, offering online grocery shopping, meal planning kits, pre-made meals and the like—all catered to the busy, tech-savvy consumer seeking convenient, but also nutritious, food. Technology, in the form of the internet, apps and voice-controlled digital assistants, to name a few, has made this possible. Amazon’s purchase of Whole Foods last year is a clear example. Healthy fast-casual restaurants, with their grab-and-go smoothies, salads and bowls, have also been popping up, making low-calorie, organic and plant-rich options accessible and affordable. There are more ways to buy food than ever before—and convenience remains an essential factor for consumers. Our take: The convenience of getting healthier foods can be easily translated into the way we communicate about healthier foods to the busy, tech-savvy consumers who seek it. We need to reach people where they are—in-store, at home and on the go. It’s not just the convenience of delivering products; it’s the convenience of accessible information. Personalization: Speaking of technology—in addition to enabling convenience, it has also opened the door to personalized nutrition. Consumers want to live longer, healthier and happier lives, and they are looking for solutions that are personally relevant and best suited to them individually. Understanding that each person’s nutritional needs are unique, the industry is increasingly providing choices that are customized to their exact preferences. Smartphones, sensor devices, wearable devices, genetic tests, meal delivery services and other platforms currently flooding the market are all a testament to this, and they’re only becoming more sophisticated and continuing to expand as the technology landscape evolves. Our take: For personalization in the food space, it’s important to dig deep and understand not just who your audiences are, but the archetypes within them and what motivates them to change their lifestyle habits. Then, dissect these archetypes even further and match them with the best platform to reach them. You might uncover interesting partnerships. Have you heard of this one with Blue Apron? What other trends are you seeing? We’d love to hear from you! 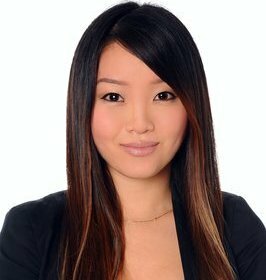 Danielle Choi is a member of the Allidura Consumer account team at Syneos Health. Over the years, she has worked with leading companies in the consumer product, food and beverage, and pharmaceutical space, providing support with communications strategy and execution for corporate social responsibility and sustainability initiatives, product launches, data milestones, disease awareness campaigns and more. Danielle graduated from Boston University with a Bachelor of Science degree in health science and psychology.